Can high-performing renovations keep their historic integrity? emersion DESIGN’s staff developed assessments for LEED-ND, LEED-NC, and LEED-Mid Rise Pilot Rating Systems. The Over-the-Rhine Foundation (OTRF) is a non-profit organization whose mission is to be good stewards of the 19th Century neighborhood. In 2006, Over-the-Rhine was listed in America’s Eleven Most Endangered Historic Places by the National Trust for Historic Places. The OTRF works to protect, preserve, promote, and enhance the community’s physical and cultural assets. 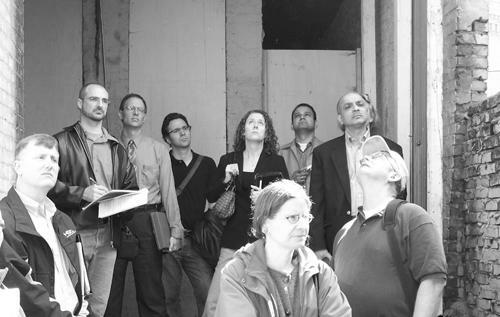 The OTRF invited emersion DESIGN to become part of an Integrated Design Team to analyze four historic structures. The Design Team was charged with developing strategies for renovation while utilizing the State of Ohio Historic Tax Credit and the City of Cincinnati LEED Tax Abatement. The Design Team included OTRF, Gray and Pape, cultural consultants, property owners, developers, historic experts, sustainability experts, contractors, a county representative, structural and mechanical engineers, building officials, and University of Cincinnati architecture studios. emersion DESIGN’s staff developed assessments for LEED-ND, LEED-NC, and LEED-Mid Rise Pilot Rating Systems. Over the Rhine is the largest collection of 19th Century Italianate architecture and is on the Most Endangered Places list. 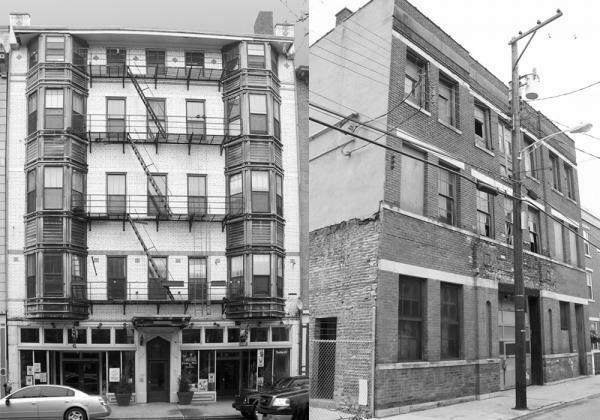 The team selected real development properties indicative of 90% of the building stock in OTR. The integrative team toured the sites and made professional recommendations rooted in their expertise and market rate conditions. The team worked with 2 UC DAAP studios to create sustainable renovations that maintain the historic integrity.